9th June has been accepted worldwide as Global Wellness Day with celebrations taking place in 100 countries around the world. “One day can change the whole life” has become the motto of this day. A day of dedication to fitness activities and wellness experience focused on living well and healthy. 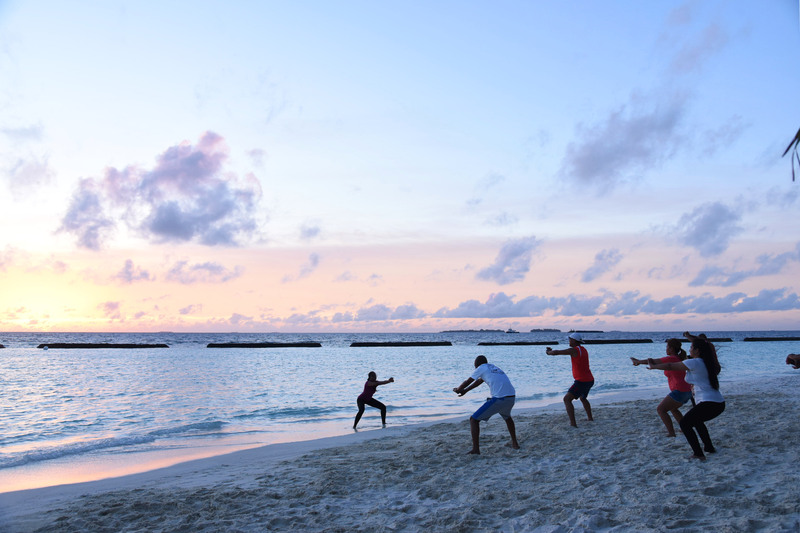 At Kurumba Maldives, guests and team members had the opportunity to take part in a range of wellness activities to celebrate this special day. 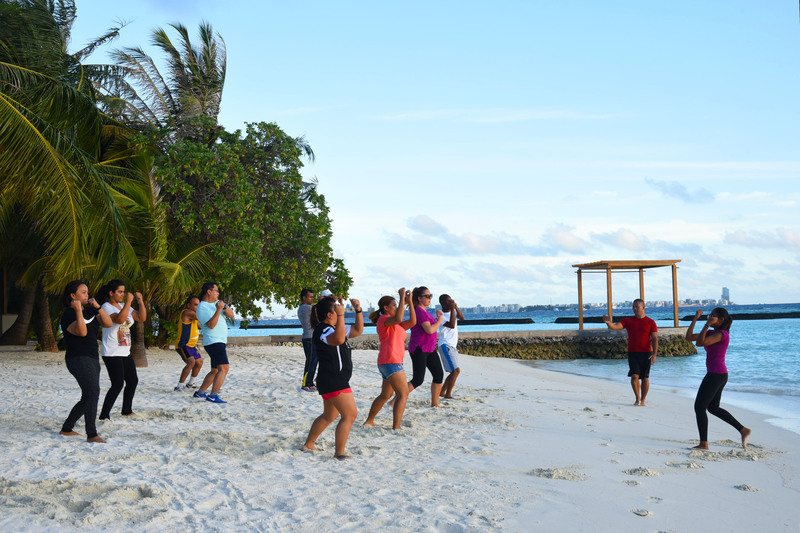 The day kicked off with an idyllic Sunrise Yoga session by the beach, followed by Cross Fit Exercise, Kayak Race around the Island and finally ended on an energetic note of a forty-five minutes Zumba class. Take-the-walk challenge was the highlight of the day, with an aim to remind everyone that a simple practice can make a huge difference to our body. The event saw the participation of not only guests but also team members on “No Selling of Cigarettes” challenge which encouraged smokers to reduce cigarette consumption for a better and healthy lifestyle. Kurumba Maldives will charm you with its unparallel choice of dining experiences and a wide range of recreation activities and entertainment. All while maintaining idyllic spaces of relaxation to create the perfect balance for a holiday in paradise, perfect for honeymooners and family alike.